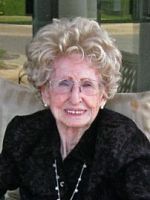 Doris J. Edson of Otsego, Michigan, passed away Wednesday, June 27, 2012 at her home. Mrs. Edson was born June 2, 1935 to Raymond and Helen Wells. For almost 20 years she was employed with Kal-Equip, Alan Tech, Parker-Hannifin and finally at Hoffman House, in Allegan, which she later purchased and operated until she was 75. In her leisure time she enjoyed going for drives and looking for wildlife. Doris attended the Otsego Church of God. On May 17, 1952 in Otsego she married Harlie Edson, II, who died May 31, 1999. Also preceding her in death were an infant son, Michael, and her son, Harlie Edson, III. Surviving are her daughter, Cathy (Rick) Morrison of Otsego; two grandchildren, Angie (Scott) Gardner of Otsego and Chad (Shawn) Collick of Coleman, MI; seven great-grandchildren, whom she adored; her special friend for the past 12 years, George Cox; several siblings, including a special sister, Hazel Stewart of Otsego; many nieces and nephews. Friends may meet with her family beginning at 10 A.M. Saturday at the Winkel Funeral Home, Otsego, where funeral services will be held at 11:00 A.M., with Pastor Stephen J. Burrow officiating. Burial will follow at Mountain Home Cemetery, Otsego. Contributions in memory of Doris may be made to the Borgess Foundation for Borgess Hospice. 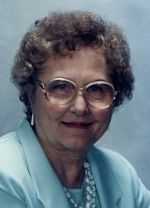 Jerri Sue Blood of Plainwell, Michigan, passed away Saturday, June 23, 2012, in Kalamazoo. Mrs. 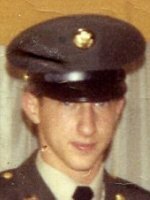 Blood was born September 14, 1942 in Kalamazoo to Jocko and Marie (Hoeness) Blakeman and was a lifelong resident of the area. For many years she was employed with Borgess-Pipp Hospital, retiring when she turned 50. Jerri liked to watch the Detroit Tigers, Verlander was her favorite, and was a dedicated fan of Days of Our Lives soap opera. In her leisure time she loved going to bingo, baking, crafts, sewing, decorating sugar cookies, going to movies and shopping. She was always gardening and loved working with her flowers, watching birds and always making sure they had food. Jerri had a great sense of humor, was a very strong person, both inside and out. She was caring and giving, no matter her limitations, always helping with potlucks, bake sales or just lending an ear. She was a cancer survivor and despite her limitations, she would always do exercise class and crafts. She was a loving wife, mom and friend. On July 24, 1965 in Allegan she married Jerry Lee Blood and they had celebrated 46 years together. Surviving in addition to her husband are a son and a daughter, Ken Blood of Byron Center and Crissy Blood of Kalamazoo; a sister-in-law, Sandi Weiso; many nieces and nephews. She was preceded in death by three sisters and their husbands, Medora (Harry) Winter, Wava (Herman) Hartwig, Donna (Roy) Norton; and a brother, Jack Weiso. In keeping with her wishes cremation has taken place and a memorial service will be held at a later date. In lieu of flowers, donations may be directed to her family or to the charity of your choice. James E. “Jim” Watson of Otsego, Michigan, passed away Thursday, June 21, 2012, in Kalamazoo. Mr. Watson was born November 2, 1937 in Hillsdale to Roy and Ruth (Camp) Watson and was raised by Donald and Martha VerHage. For 30 years he was employed as a truck driver, first with Phil McVean Trucking in Martin and then with Menasha Corp. in Otsego. Jim was an avid Tigers fan. On August 15, 1958 in Watson Corners he was married to Yvonne Brooks, who survives. Also surviving are three children, Randy (Sharon) Watson of Allegan, Dawn (Kevin) Brown of Fountain Hills, AZ and Kim (Bill) Rohr of Otsego; 8 grandchildren; 8 great grandchildren; a sister, Hazel; three half-sisters, Shirley, Mary Lou and Rosalee; brothers, Isaac VerHage, Donald VerHage and Duane VerHage; many nieces and nephews. He was preceded in death by his parents, Roy and Ruth Watson and Donald and Martha VerHage; brothers, Herbert Watson and Lawrence VerHage; and sisters, Charlotte and Ann. Friends may meet with Jim’s family from 2 to 4 and 6 to 8 P.M. Friday at the Winkel Funeral Home, Otsego, where services will be held Saturday, June 23 at 1:00 PM, Pastor Ray Brown officiating. Burial will follow at Mountain Home Cemetery, Otsego. Contributions in memory of Jim may be made to West Michigan Cancer Center or charity of choice. 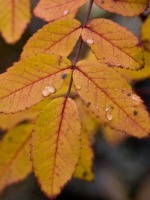 Reta M. Pountain of Allegan, Michigan, passed away Sunday, June 17, 2012 in Kalamazoo. Mrs. Pountain was born August 6, 1926 in Manton, Michigan to Roy and Edith (Porter) Brown. Reta grew up in New Buffalo, Michigan and then lived in Kalamazoo. For many years she was employed with Shakespeare Co. and later with the bakeries at W.M.U. and K-College. In her leisure time she enjoyed knitting and crocheting. On May 5, 1950 in Kalamazoo she married Donald E. Pountain, who died in 2009. Also preceding her in death were her sisters, Bess Mundt and Dorothy Young; and her brother, Leo Brown. Surviving are two sons, Donald B. (Gaile) Pountain of Allegan and Darryl (Louise) Pountain of Mattawan; six grandchildren; 15 great-grandchildren; a great-great-grandson; several nieces and nephews. Contributions in memory of Reta may be made to the American Cancer Society. 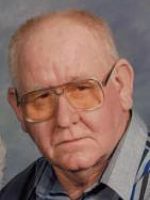 Douglas Garton of Plainwell, Michigan passed away Saturday, June 16, 2012 in Kalamazoo. Doug was born November 16, 1950 in Allegan , MI the son of Earl and Marjorie (Connor) Garton. He had served in the US Army during the Viet Nam War. He lived in California for 30 years and worked as a commercial electrician and was a member of the IBEW Local. He enjoyed traveling. Doug is survived by his sisters, Gloria Wise of Portage, Colleen (Randy) Loll of Plainwell and Claudette (Christopher) Spontelli of PA ; 4 nephews and 2 nieces. He was preceded in death by his parents. Cremation has taken place. Private family services are scheduled. Those wishing may make a contribution in Doug’s memory to the Disabled American Veterans, 4809 Eastern Ave., SE, Grand Rapids, MI 49508. God saw you getting tired. He did what He thought was best. He put His arms around you and said, “come and rest”. He opened up His golden gates on June 13, 2012 and with His arms around you, you gently slipped away. Mary went home to be with her Lord on June 13, 2012. Mary Helen was born in Naylor, Missouri on June 24, 1920 to Andrew and Anna Bickers. She married Otta H. Baker on October 5, 1935 and they had three children. Mary was preceded in death by her parents, Andrew Jefferson and Anna W. (Bishop) Bickers; sister, Vay Marie Lester in 1962; brother Jerry Bickers in 1993; her husband Otta on June 29, 1971; and her daughter Carolyn Ann Burns on October 10, 2005. Mary lived her early married years in Gobles, Michigan then she moved to Long Beach, California in 1954. During Mary’s lifetime, Otta and Mary owned and operated a chicken restaurant, managed apartment buildings and from 1966 to 1976 she worked at Swedlow Inc. in Garden Grove, California. She left Garden Grove for health reasons and moved closer to family in Yucaipa, California. She lived in Yucaipa until 2006 then moved back to Plainwell, Michigan to be with family. Mary lived each day for the Lord who gave her the strength and love to share with us all. She loved to go shopping, decorating her apartment and spending time with family and friends. Mary’s family includes her two sons, Jimmy (Barbara) Baker of Ferndale, Washington and Jerry (Carol) Baker of Hemet, California; son-in-law, Jim Burns of Baja, Mexico; sister-in-law, Elaine Bickers of Lady Lake, Florida; 7 grandchildren; 13 great-grandchildren; many nieces and nephews, including Bonnie (Bob) Harter of Kalamazoo. Services will be held at Emerson-Bartlett Funeral Home, Yucaipa, California. Jacqueline L. “Jackie” Newton of Plainwell, Michigan, passed away Monday, June 11, 2012 at her home. Jackie was born July 14, 1948 in Allegan to James and Lois (Mellon) Newton and had been a lifelong resident of the area. A graduate of Otsego High School, she was employed for over 40 years with Parker-Hannifin Brass, retiring in 2011. Jackie was a member of the V.F.W. #3030, the Otsego Moose Lodge and the Allegan Eagles. In her leisure time she enjoyed flower gardening, fishing, camping and bowling. Most of all she enjoyed spending time with her family and her dogs. Surviving are her mother, Lois M. Newton of Plainwell; a sister, Judy (Clint) Coburn of Allegan; a niece and nephew, Julie Coburn-Hatfield and Troy (Ammie) Coburn and a great-nephew, Justin (Tammy) Hall, all of Allegan. She was preceded in death by her father, James Newton, in 1989. Robert E. and Doris A. McKee of Tucson, AZ (formerly of Otsego)were each surrounded by their family when they went home to be with their Lord, she on July 10, 2011 and he on August 22, 2011. Doris was born July 13, 1927 in Otsego, the daughter of C. Benjamin and Signa (Gustafson) Cowles. Bob was born December 4, 1927, in Otsego, the son of William L. and Gladys (Unger) McKee. Bob attended a one-room school in Trowbridge and they both graduated from Otsego High School in 1945, where they had become sweethearts. Bob enlisted in the U.S. Navy after graduation and served in Hawaii. They were married March 24, 1948 and settled in Otsego. 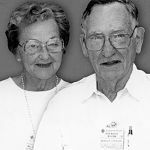 Bob and Doris were faithful members of the Otsego United Methodist Church. Bob retired from the Otsego Post Office in 1987 after serving as postmaster. 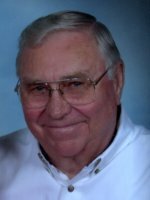 He was active in the Jaycees, was an artist and craftsman and pursued many hobbies and interests, including woodworking, sailing and collecting antiques and coins. Doris worked at Toaz Pharmacy until her retirement in 1986 and was also a Girl Scout Leader. Bob and Doris enjoyed traveling in their RV until they relocated in Tucson, AZ in 1990. They were secure in their faith and were an inspiration to all who knew them. Bob and Doris were devoted parents and grandparents. Surviving are two daughters, Vicki (Dwight) Logee of Tucson and Jan (Krys) Cianciarulo of Maplewood, MN; three grandsons, Rob Gilliland and family of Sachse, TX, Rick Gilliland and family of Williamsburg, VA and James Gilliland and family of Fort Worth, TX; six great grandchildren; several nieces and nephews. A memorial service will be at held 10:00 AM Friday, June 15, 2012 at the Winkel Funeral Home, Otsego, Rev. William Morris officiating. Interment of cremated remains will be at Mountain Home Cemetery.